4.6 mi | 1500’ ele. gain | 3.5 hr. I took Brody out on a classic Gorge hike today. Angel’s Rest is probably one of the most popular destinations near Portland. But on a cold winter day, it sees a lot fewer visitors. And, it’s for good reason: the trail is covered in snow and ice. It all started out so straightforward and dry. A clear trail with the classic winter backdrop of leafless trees, brown everywhere, and views of the Columbia River. Soon, however, patches of ice perforated the flat, dirt trail surface. It was cold enough for water overflowing the footpath to freeze and create mini skating rinks. But with proper walking technique and the assistance of hiking poles we negotiated these sections without slipping and falling. We crossed a cute little creek that had beautiful ice formations dangling from every little branch and stick that came near the water. 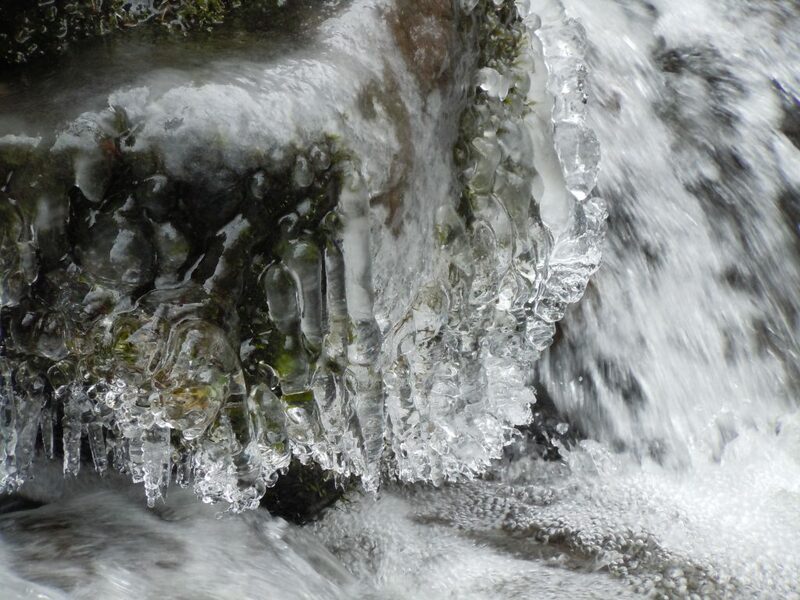 The spray from the trembling waterfalls must coat the branches in the sub-freezing air. SO COOL! 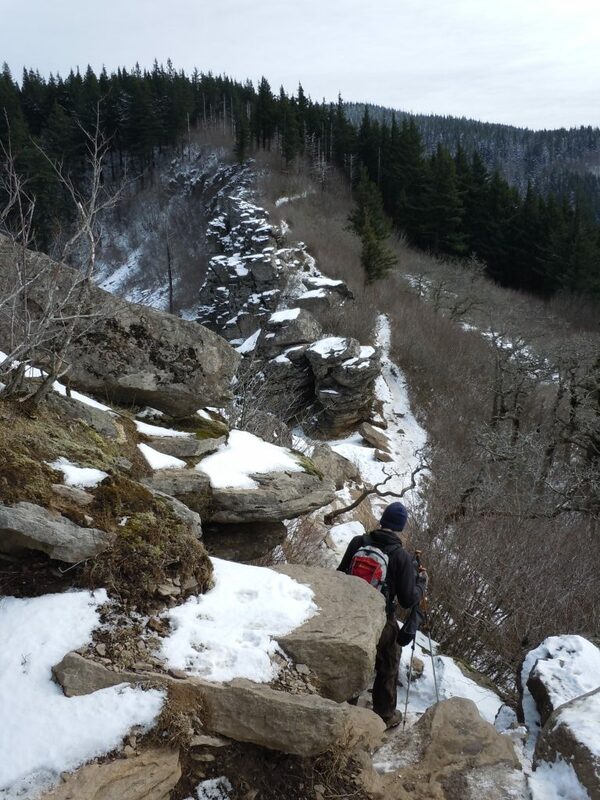 Eventually our trail became more slippery and snowy so we took our time, especially crossing the talus and the final rock spine to the viewpoint. At the top, we gazed over the massive river, flowing beneath a ceiling of dense clouds. The tops of all the gorge peaks were dusted with snow. Yes, another lovely winter day. This entry was posted in Hiking, Oregon and tagged hike366 on February 26, 2011 by Jess B.